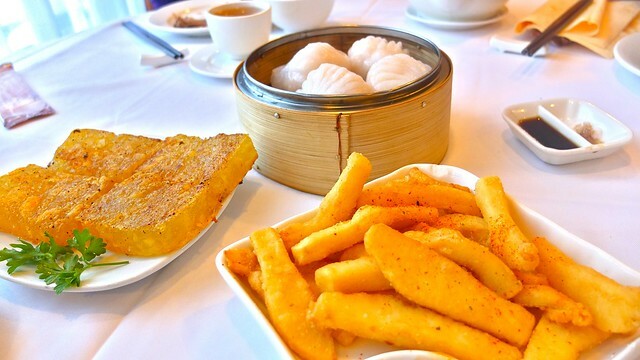 Dim sum for lunch at Sun Sui Wah Seafood Restaurant on October 8, 2012. 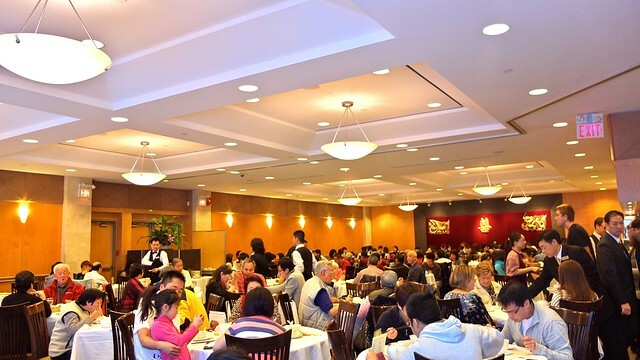 On Thanksgiving Day, I had a nice family meal over dim sum for lunch at the Richmond locale of Sun Sui Wah. The restaurant was packed and I was surprised by the massive dining space full of hungry patrons. The service was fairly prompt and quick considering the crowd. 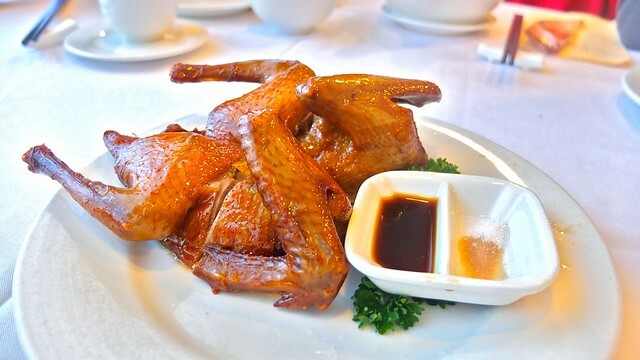 Their specialty deep fried squab was good, crispy, and well cooked. I found the rice roll wrapped Chinese doughnuts pretty standard. My staple of steamed shrimp dumplings were pretty large in size but just okay in taste. 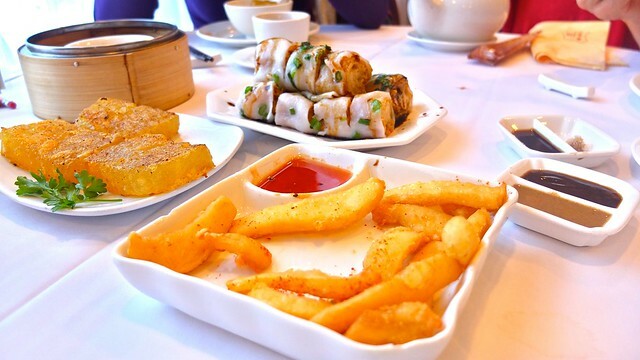 Their deep fried squid was so straight, they looked like giant French fries. They were pretty good and quite crispy. The water chestnut cake wasn't my thing but decent nonetheless. I was a little unimpressed with the dim sum service at Sun Sui Wah. I had a better experience at the Main Street location food wise. It was serviceable and decent but more or less unremarkable.